The Pakistani military today described a 14-year-old boy who died while preventing a suicide attack on his school as a "martyr" who had sacrificed his "today for our better tomorrow". 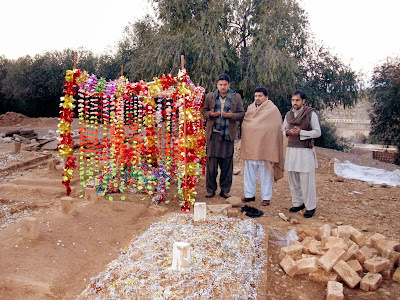 "Brigadier Nadeem Zaki Manj, Local Commander in Hangu, visited the grave of young student Aitzaz Hussain (shaheed), who sacrificed his life to save hundreds of his school fellows from a suicide attack, laid a floral wreath on behalf of (the army chief) and offered (prayers)," said a statement from the the military's media wing. Manj conveyed army chief Gen Raheel Sharif's tributes to the boy's family. "Chief of Army Staff said that the nation is proud of this young hero who has set a sterling example of bravery and sacrifice at a young age...and has sacrificed his today for our better tomorrow," the statement said. Prime Minister Nawaz Sharif yesterday decided to confer the Sitara-e-Shujaat, one of Pakistan's highest awards for bravery, on the boy. Aitzaz, a Class IX student, died on Monday when the suicide bomber blew himself up at the gate of the government-run school in Hangu district after he was stopped by the boy. Pakistani teenager who sacrificed his life to stop a suicide bomber, saving the lives of hundreds of students, has been honoured with the country's highest award for bravery. 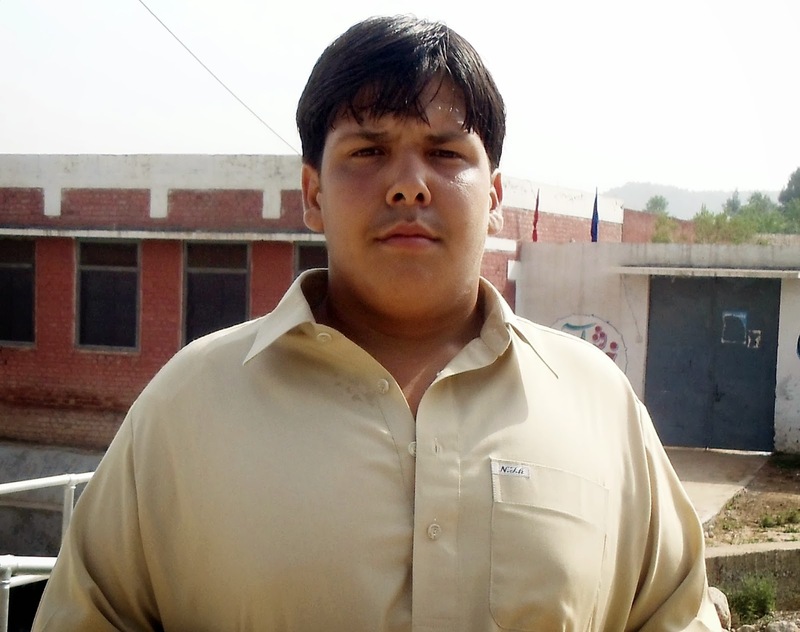 Aitzaz Hassan, 15, a student in Hangu district in Khyber Pakhtunkhwa province, has become a national hero after tackling the bomber who came to attack his school on Monday while hundreds of students were inside. An official from the Prime Minister's house told AFP on Saturday that Hassan's family is expected to receive the posthumous award on March 23, Pakistan's national day, following the president's ceremonial approval. 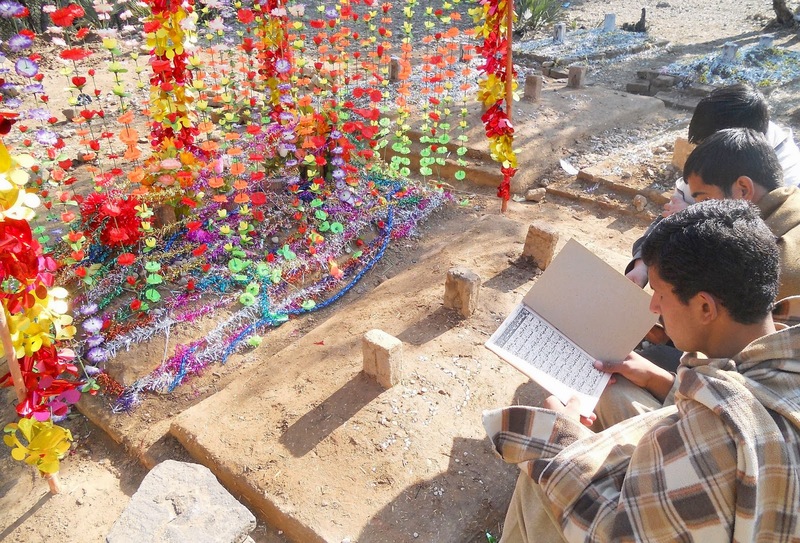 News of Hassan's act led to an outpouring of tributes on social media. Pakistani newspapers, TV channels and social media sites had demanded recognition for Hassan's bravery, calling him a hero who should receive the nation's highest award. Locals from Hassan's village, Ibrahimzai in Hangu district, and Pakistan army officers laid floral wreaths on his grave on Saturday as relatives looked on and wept. Students held a vigil and carried placards condemning the killing and terrorism. A military statement on Saturday said Brigadier Nadeem Zaki Manj, local commander in Hangu, visited Hassan's grave and laid a floral wreath on behalf of General Raheel Sharif, the head of Pakistan's army. The commander also conveyed Sharif's "rich tributes to the bereaved family on the bravery and sacrifice" of their son, the statement added. "The Nation is proud of this young Hero who has set a sterling example of bravery and sacrifice... he has sacrificed his today for our better tomorrow," the army chief said in a message for Hassan's father. Hundreds of fellow students prayed for Hassan in the morning school assembly. Shahban Mahdi, a classmate of Hassan, told: "I am proud of what he did. 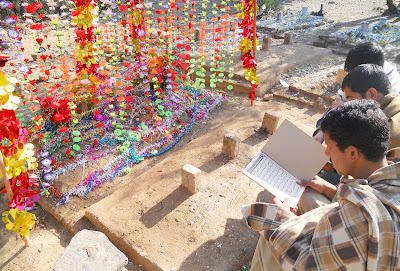 I owe my life to him -- had it not been for Aitzaz Hassan, none of us would be alive." Habib Ali, one of Hassan's teachers, added: "His classmates miss him...but they promise they will not forget him always and will keep his memory alive. And we say to all terrorists: you cannot stop us and we will keep on studying." Pakistani schoolgirl Malala Yousafzai, who survived being shot in the head by the Taliban for championing girls' right to education, paid tribute to the teenager on Friday, describing him as "brave and courageous". Malala, who was last year nominated for the Nobel Peace Prize, also called for the government to award Hassan its "highest national award". "His bravery must never be forgotten," she said. Hassan's father Mujahid Ali Bangash, 55, told AFP on Thursday he felt not sadness but pride at his son's death. 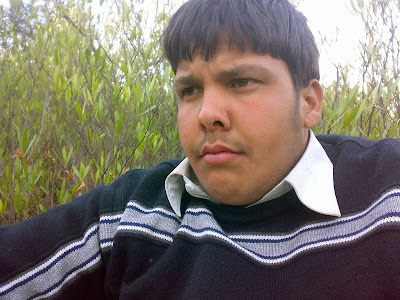 Police official Shakirullah Bangash told on Thursday that Aitzaz intercepted the bomber 150 metres (490 feet) away from the main gate of the school, which has around 1,000 students. A suicide bomber who killed Chaudhry Aslam, one of Pakistan's most daring counter-terror officials, has been identified as the son of an imam, a media report said today. According to initial investigations and evidence, police in Karachi believe that young Naeemullah, who was identified through fingerprints, carried out the deadly attack on Thursday, SP Niaz Khosa said. Naeemullah was a seminary student and son of Rafiullah, the imam of Masjid Jamia Sidiqia and administrator of a madrassa in Karachi's restive Orangi Town, The Express Tribune reported. Rafiullah and around half a dozen family members and comrades have been detained by the CID. Some body parts found at the site, allegedly of the bomber, were sent to the National Database and Registration Authority for identification. "(We are) 98 per cent sure that a suicide bomber hit the explosives-laden Suzuki cargo van with Aslam's (car)," Crime Investigation Department (CID) chief Zafar Bukhari said. However, police officials insist that the investigation is only in its initial stages and things could change. According to police officials, Rafiullah and Naeemullah are reportedly members of Zikria Mehsud group, the Tehrik-e- Taliban Pakistan's Karachi chapter. Police raided the suspect's house and detained family members in the past. The Pakistani Taliban used around 200 kg of explosives for the suicide attack on Aslam, known for his crackdown on the outlawed militant group. The blast killed Aslam, who had fearlessly hunted members of the banned group in Karachi despite at least three attacks on him. A suicide attack on Aslam's home in Karachi in 2011 had killed eight persons though he escaped unhurt. Shortly after Thursday's suicide bombing, Taliban spokesman Sajjad Mohmand told reporters that his group carried out the "successful" attack to avenge the killing of several Taliban fighters by police.